Each year, the outgoing chairman of the Centralia-Chehalis Chamber of Commerce’s Board of Directors has the privilege, and challenge, of choosing a recipient of the Chamber’s annual Business of the Year award. And according to Dan Keahey, an associate broker with Coldwell Banker and the chamber’s 2006 board chair, anything goes. In the end, he chose something big, economically valuable and easy on the eyes. 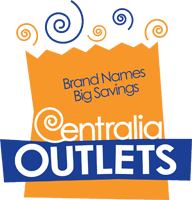 The outlets, with about 30 stores on both sides of Interstate 5, are completing a major remodeling project this year. Renate Johnson, marketing and property manager for the outlets, was unable to attend the 22nd annual chamber banquet because of a previously planned vacation to Hawaii. Her assistant, Melanie Patterson, attended in her place and accepted the award. “This is a very special honor,” she said, before further justifying the outlets’ receipt of the award by annnouncing that popular athletic shoe and apparel manufacturer Nike will be opening an outlet in March. The new store will take up two storefronts, one of which formerly housed Cowtown Boots, next to the Quiznos sandwich shop. Patterson said that she and Johnson had been so focused on completing the remodeling project, which began in February of 2006, that they hadn’t really expected to be recognized for the project.